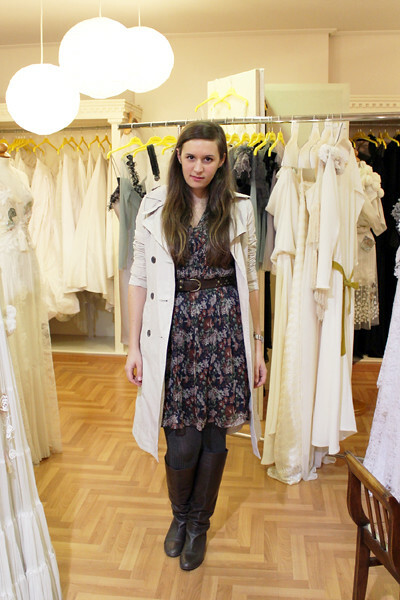 Standing in the middle of Loukia's atelier last Friday. Silk chiffon floral dress, MASSIMO DUTTI. Trench coat, ZARA. Brown leather boots, INCI. Grey ribbed tights, H&M. Studded brown leather belt, MANGO. and saying it again, you looked amazing!